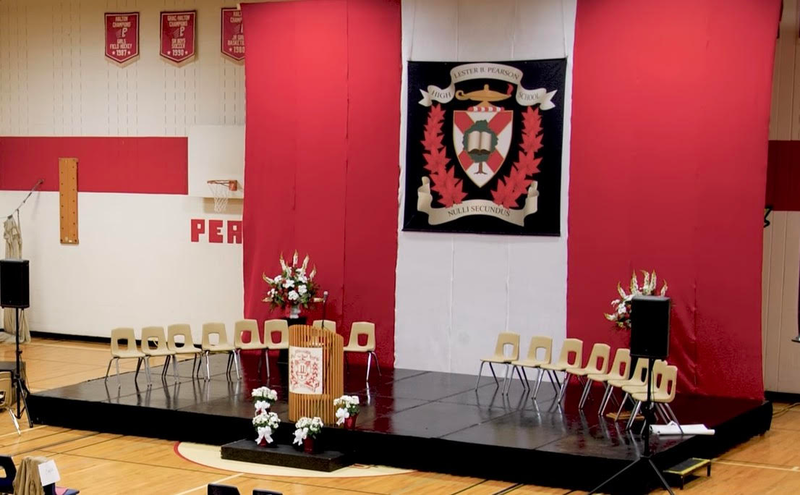 Lester B. Pearson High School officially closed June 2018.
the Closing Celebrations held June 1 and 2, 2018. 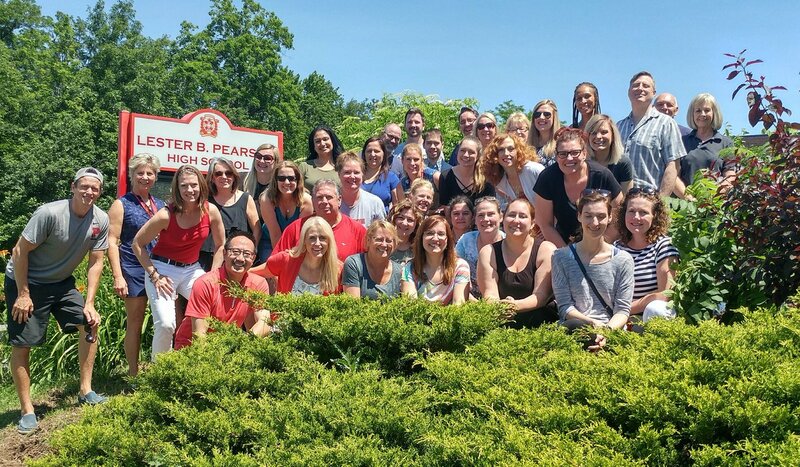 When will Lester B. Pearson students move to M.M. Robinson? Will there be a school celebration for Lester B. Pearson H.S.? What will happen to the artifacts/memorabilia for Lester B. Pearson H. S.? Honouring and incorporating artifacts and other memorabilia from Lester B. Pearson will be overseen by the Artifacts and Memorabilia Subcommittee with input from both schools. Some items may be relocated to the new school. This committee will be sharing further information regarding the opportunity to request artifacts/memorabilia. A website with more information will be created by the end of April, 2018. When will the plans for the facilities be shared with the public? The sketch plans for M.M. Robinson High School are available as part of the April 4, 2018 Board Meeting Agenda​. These are located in the report beginning on page 56. I have a question about these sketch plans. Where can I find out more? These sketch plans were shared with the Special Education Advisory Committee Meeting on April 3, 2018. The question and answer portion of the meeting is available here via video recording: SEAC Meeting April 3, 2018​. The plans were also shared with the Board at the April 7 Board Meeting. The question and answer portion of the meeting is available here via video recording: HDSB Board Meeting April 4, 2018​. Further questions may be directed to parimplementation@hdsb.ca​. For more information, please refer to the HDSB Transportation policy​. The Board will engage in discussions with the different unions impacted and determine the process to ensure alignment with collective agreements and to recognize the emotional impact on those employees impacted. It should be noted that different processes may exist for each employee group. What does the Administrative Review mean for Lester B. Pearson? According to Ministry Guidelines, an administrative review is a process by which an independent, impartial facilitator reviews that the Board has followed its pupil accommodation review policy. An administrative review is not an assessment of the decisions made by the Board of Trustees. Administrative Reviews of the Burlington Secondary School Program and Accommodation Review (PAR), undertaken by the Halton District School Board during the 2016-2017 school year, have been granted. Requests for these reviews were submitted to the Ministry of Education by the Lester B. Pearson High School community. The Administrative Review has been completed and it was concluded that the Board followed its process. The Board will continue to implement the approved recommendations. The updates section on this webpage provides further information. NOTE: This Committee will be formed following the 2017-2018 Lester B. Pearson and M.M. Robinson School Council elections.